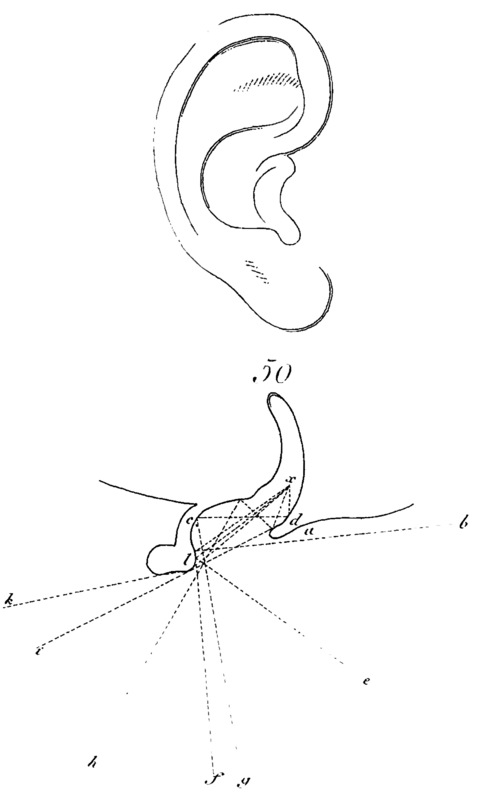 Carl Ferdinand Langhans, architectural diagram of the human ear as an acoustical device, Berlin, 1810. Modern acoustical science has had a complex influence on the visually dominated discourse of architectural aesthetics. New methods and technologies for the study and control of sound were assimilated by early nineteenth-century German architects just as Romantic interest in music and noise was reaching its height. When Carl Ferdinand Langhans critiqued the acoustics of the Berlin Nationaltheater, designed by his father in 1802, he effectively overturned models of sensation inherited from the ancien régime and called for the collective bourgeois experience of civic architecture to be governed by a new synthesis of scientific and aesthetic knowledge. Yet sound's powerful metaphorical status gave rise to fundamental methodological ambiguities: during the same period that modern building science has sought to render acoustics controllable, sound was frequently overdetermined by architects as a figure of ineffability. This dissertation works through these questions in pursuit of a historiography of architectural sensation. Joseph Clarke is a PhD candidate at the Yale University School of Architecture and an architect licensed in the state of New York. At Yale, he is co-organizing the interdisciplinary symposium The Sound of Architecture (October 4–6, 2012), which considers how developments in media, music, and art are transforming the ways we listen in built spaces, as well as coediting the 2013 issue of Perspecta, on the theme of “Error.” Clarke received his MArch from the University of Cincinnati in 2006, and has worked at the firms of Skidmore, Owings & Merrill and Eisenman Architects.